Marion D. Hanks was one of the youngest General Authorities of The Church of Jesus Christ of Latter-day Saints to be called into church service in the latter part of the 20th century. He was called to the First Council of the Seventy on October 4, 1953, at the age of 31. He served for nearly forty years as a leader in the Church. His service included callings in the Presidency of the First Quorum of the Seventy (from 1976 to 1980, and from 1984 until he was given emeritus status on Oct. 3, 1992) and as an Assistant to the Quorum of the Twelve Apostles (1968-1976). He was known as a man with a superb intellect who would go the extra mile to do personal service. He was a man of great compassion. Elder Hanks was executive director of the Priesthood Department at the time he received emeritus status. He had also been executive director of the Correlation Department and chairman of the Communications Coding Committee. He served for a number of years as military relations representative of the church. Elder Hanks was a submarine chaser in the Navy during World War II. He served a full-time mission for the Mormon Church in the Northern States Mission. Hanks was athletic. He declined to play basketball in college in order to serve his mission for the Church. He earned a J.D. from the University of Utah in 1948. Hanks never practiced law, but worked for the Church's seminary and institute system until becoming a general authority. He was an inspiring teacher and a compelling public speaker. In the early 1960's, Elder Hanks served as president of the British Mission. Among the missionaries he mentored were Elder Jeffrey R. Holland and Elder Quentin L. Cook, now both members of the Church's Quorum of the Twelve. He was awarded the Silver Buffalo Award by the Boy Scouts of America and served as president of the Salt Lake Temple from 1982-85. After receiving emeritus status as a general authority, Elder Hanks became chairman of the Ouelessebougou Mali-Utah alliance group, which has supported a program of community service for a consortium of villages in Mali, West Africa. He also chaired the International Enterprise Development Foundation, which assists people in the Philippines and Third World countries in establishing small-business and other economic improvement efforts. Elder Hanks and his wife also founded the Hanks Foundation, a Salt Lake humanitarian group. In April 1993, Elder Hanks received an honorary doctorate of Christian service as the main speaker at Brigham Young University's graduation. 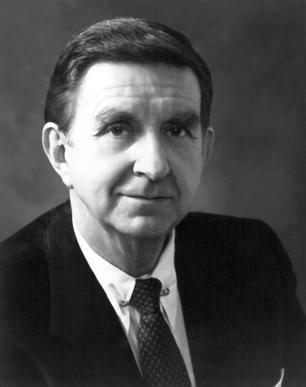 He received BYU's David M. Kennedy Public Service Award in 1995. Elder Hanks and his wife, the former Maxine Christensen, are the parents of five children. He and Maxine were married in the Laie Hawaii Temple on August 27, 1949. Elder Hanks died on August 5, 2011, at the age of 89. This page was last edited on 26 October 2012, at 15:40.